Developed next to Keystone’s award-winning Keystone Park, Keystone Crossing is a mixed residential development that includes 192 single-family homes and 188 townhomes. The project sold out within months of completion. Keystone’s Georgian Village and Cary Park Townes is a subdivision consisting of 34 large 2,000-2,500- sq. foot townhomes and 80 medium-sized 1,500-2,000sq. foot townhomes. The Village features 72 richly appointed townhomes, which are surrounded by the natural and serene setting of Umstead State Park. Conveniently located just minutes away from Research Triangle Park, these luxury townhomes feature satellite dishes, gas fireplaces and one car garages. Walden Creek is a luxury custom home subdivision that combines exceptional location with custom-built features. Each of the 87 lots are surrounded by Walden Creek’s heavily wooded oak grove. Custom features include hardwood floors, catwalks and lofts, cathedral and 9-foot ceilings, sunrooms, 2 & 3 car garages, upgraded trims, skylights and trey ceilings. HighGrove Townhomes offers a unique village feel with easy access to Carrboro, Durham and downtown Franklin Street. Winner of the 2002 Parade of Homes Silver Award for its prestigious Rosemary floor plan, HighGrove Townhomes are the best of the best. 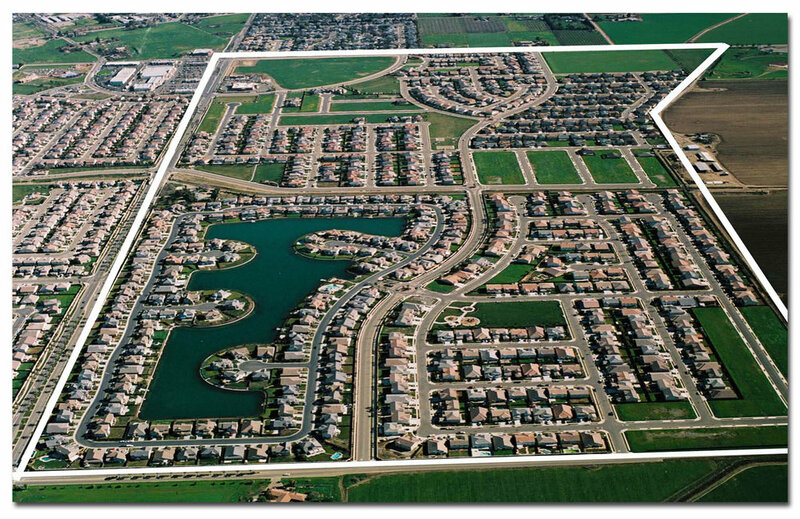 Patterson Gardens and Walker Ranch were developed by Keystone, totaling 2,700-single-family lots in the two residential subdivisions, a 20-acre retail site for a super Walmart, a school, and a recreation center. Keystone Corporation developed all the required infrastructure for this project and sold the lots to the following national and regional home builders: Grupe, John Laing Homes, Jonathan Homes, Lyon Homes, Morrison Homes, Ryland Homes and Shea Homes. Rustica Oaks is a 70-acre community ideally situated in Durham County and adjacent to Research Triangle Park, North Carolina. The community consists of approximately 278 home sites, a community pool, recreational facilities and large areas of natural landscape. Keystone Corporation finished building the infrastructure of the development and has sold the lots to Mungo Homes.